Within the course of one month, I wrote what Two Writing Teachers call the daily slice.This March, when winter shook the Northeast, I wove slices of life into a tapestry of thought that has lasted thirty-one days. 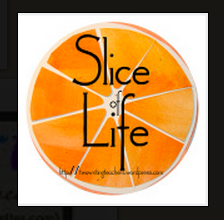 Today on Day 31, the Slice of Life Story Challenge has come to a close, but not my word weaving. Once upon a time in my early teaching life, my professor told me to look at ordinary life events to write about. Laura Robb's tip for me was to write daily. While I have been doing so, this month of writing daily has allowed me to view life with a different lens. I listen (my one little word for 2015), I observe, I learn, and then, I write. With this post, one tapestry will be complete. The stitching may have been patchy in spots, but finely crafted in others. Along the way, I have been guided, supported, and even praised by fellow word weavers. Honing my craft has been a whirlwind of activity in light of daily life encounters. Balancing different lives, such as home, professional, and writing, has been quite the juggling act. I have learned from missteps and am ready to move forward to continue to slice, write poetry, enter literary challenges, tweet, and blog. In the end, I will have beautiful tapestries of thought to call my own. 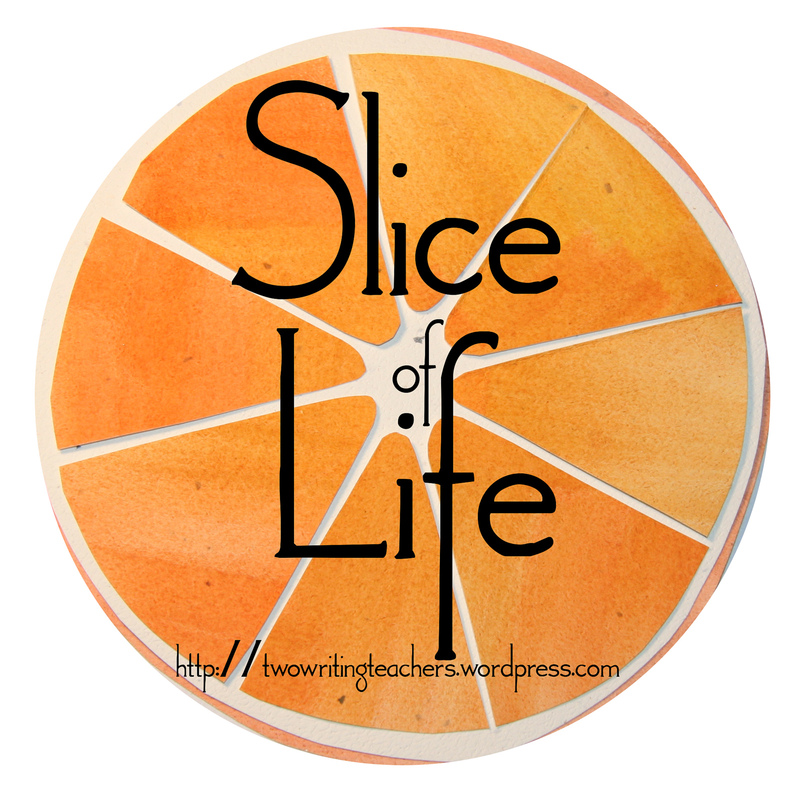 Since slicing involves the teaching profession, I created a slice yesterday, Getting to the Heart of Teaching, that I have expanded upon for other challenges. Perhaps, this will become a special tapestry that will transition us into spring. Please visit Two Writing Teachers to read other slices from around the country. 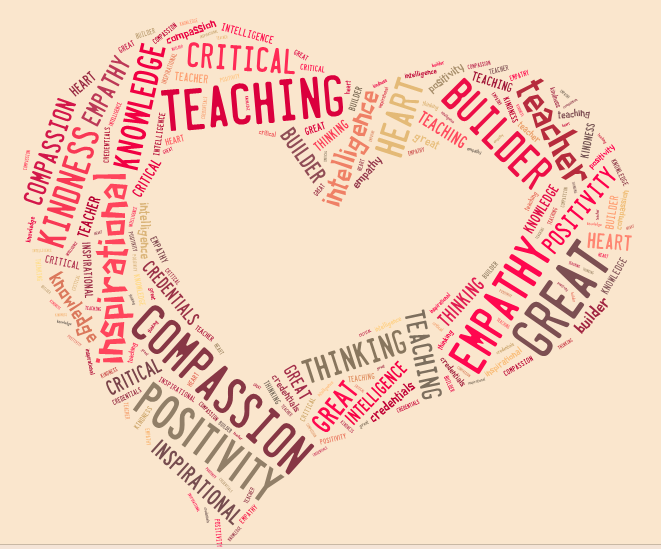 As I was reading this morning, I found a wonderful Edutopia article, The Heart of Teaching: What It means to be a Great Teacher, by a Twitter colleague, Rusul Airubail. Rusul starts off her piece by saying that "great teacher should be much more than credentials, experience and intelligence." This is so true. 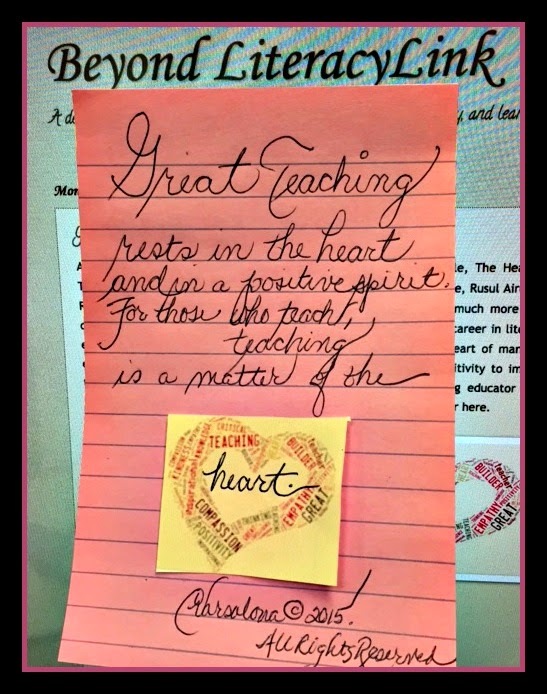 In my long career in literacy education, I have discovered the essence of teaching rests in the heart of many an educator. Inward passion inspires educators to take a stance of positivity to impact teaching and learning daily. Dr. Rita Pierson was one such inspiring educator who championed the child. You can read my tribute to her and every teacher here. 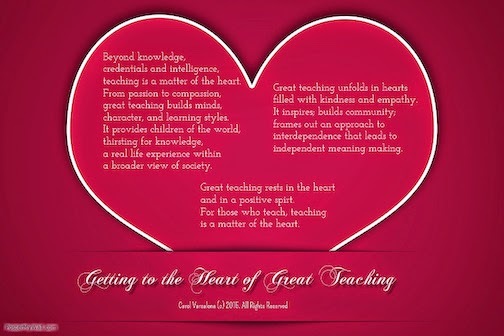 Because we are nearing National Poetry Month, I decided to take Rusul's words and compose a Tagxedo word cloud and then, a poem titled, Getting to the Heart of Great Teaching. teaching is a matter of the heart. a broader view of society. filled with kindness and empathy. and in a positive spirit. is a matter of the heart. Today is nearing the end of the March of Life Story Challenge. It is Day 30 out of 31. 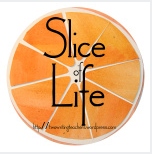 Please visit Two Writing Teachers to read other slices from a variety of writers. During my married life, every Palm Sunday my family would attend Mass and return home with beautiful blessed palms. My family would watch my mother take the palms and lay them in damp paper towels for crafting a bit later. When she was ready, my mother would carefully uncover the paper towel and start working in silence. My mother's hands were gifts from God. She used her talent to deftly craft long light yellow and green colored pieces of palm into beautiful handmade crosses and crowns of thorns. Each piece was different. Some were decorated with miniature roses made of ribbon; others had felt glued to the back of the crosses. All were created with love. As sacred signs of Holy Week, these treasures adorned my house. They were constant reminders that the Easter Triduum was approaching. My family attended Mass last night so I would have time to decorate the house for Easter today. My first step was to carefully take out a box of Easter treasures, palm crosses and hand-crafted eggs, some of which were either made or bought by my mother. Next, I turned my attention to my palms. They were dry because I was too tired last night to place them in the damp cloth. I attempted to make them pliable so that I could craft the pieces into something other than a piece of palm. I cut the leftover pieces of palm and placed them in a plastic sealed bag to be used at Christmastime with the 1940's manger set. After years of family use, the straw for the manger needs replacing. The blessed straw pieces will be another reminder of the 2015 Easter season and a woman who was totally devoted to her family. Since I am interested in preserving family memories, I turn to digital tools for the preservation of my artifacts. I successfully use PicMonkey as evidence by the first photo, but am a newcomer to Nutshell. Clearly, I need more work to be able to say I can utilize this tool with ease. No matter how many times I repeated the process, my narration was cut off in the beginning and at the end of every short video I made. If anyone can give me tips on how to master Nutshell, I will be an eager listener, or if there is an easier video tool that adds text please let me know. 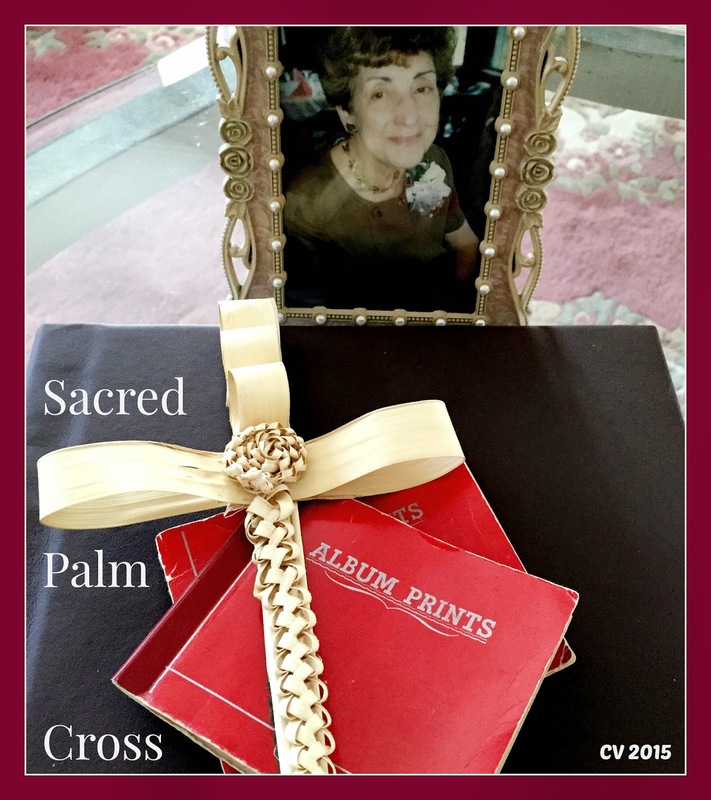 I honor the tradition of turning the palms from Palm Sunday into living creations that highlight the significance of the Easter Triduum and I honor my mother's memory today. A prime example of connected learning being a positive force in education was evident today on Long Island. 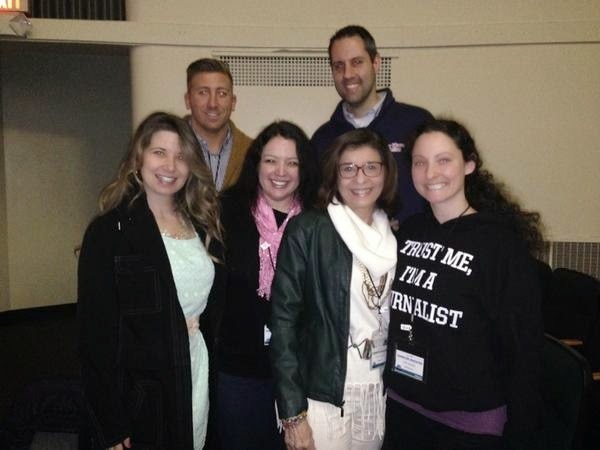 One hundred and fifty educators + eagerly met to connect, share, and learn together at the second annual Connected Educator Summit (CELI15) at Farmingdale Middle School under the leadership of Dr. Bill Brennan. Despite the flurries (yes, Long Island saw huge snow flakes floating in the sky again), spirits were high as Twitter friends greeted each other at the meet-up. 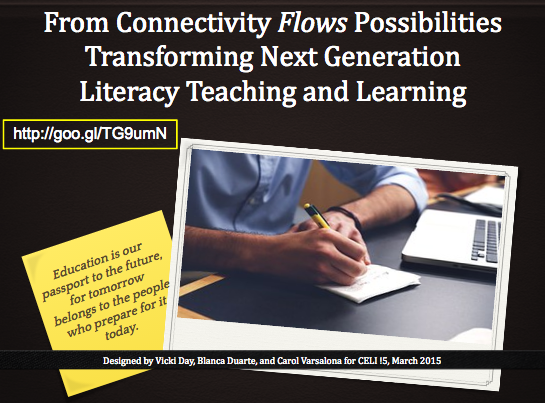 The topic, From Connected Learning to Student Learning, inspired educators to reflect on past practices and engage in conversations to create a new narrative for their journey. 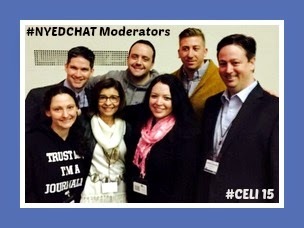 Networking, a panel discussion, #NYEDChat conversation, workshops, and an last session unconference format created an electric energy that pervaded the day. New learnings were tweeted, new friendships formed, and a spirit of positivity floated throughout the halls of Farmingdale's Middle School. Collaborative conversations were sparked in every conference room, learning lives were energized, and connections made. 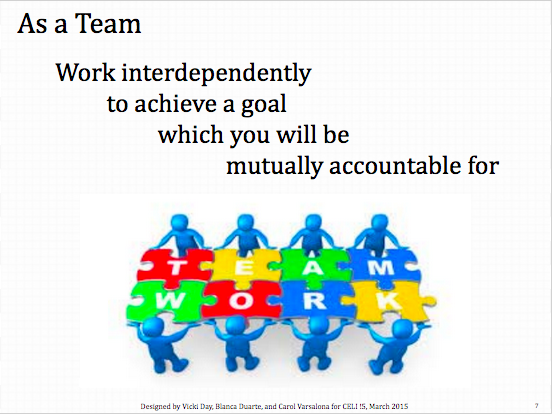 In a session that Blanca Duarte and I facilitated, effective collaboration norms and protocols were introduced to participants from different parts of Long Island to establish a culture of trust and positivity in the room. With this in place a flow of reflective, collaborative conversations on how to achieve deeper learning environments ensued. 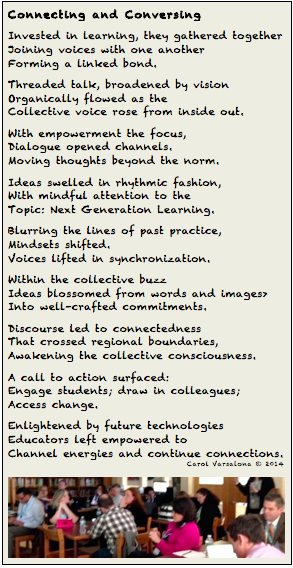 Upon exit, participants were asked to create a personal commitment statement to transform teaching and learning. The take aways from CELI 15 were many. One little words, such as energized, inspired, listen, and positivity, were tweeted out at the closing session. What do we expect to continue after this weekend? Aha moments happened throughout the day at CELI 15. The following poem created after last year's meet-up is a compilation of thoughts that holds true today. I celebrate connected learning today and everyday. May this slice of life about connected educators serve to promote positivity in educational circles and strengthen connectivity that blurs regional or state boundaries. Please visit these sites to read what other bloggers have written about life and learning today. and satisfied my unquenchable desire for positivity. with sparkling snow and surprised many daylight hours. 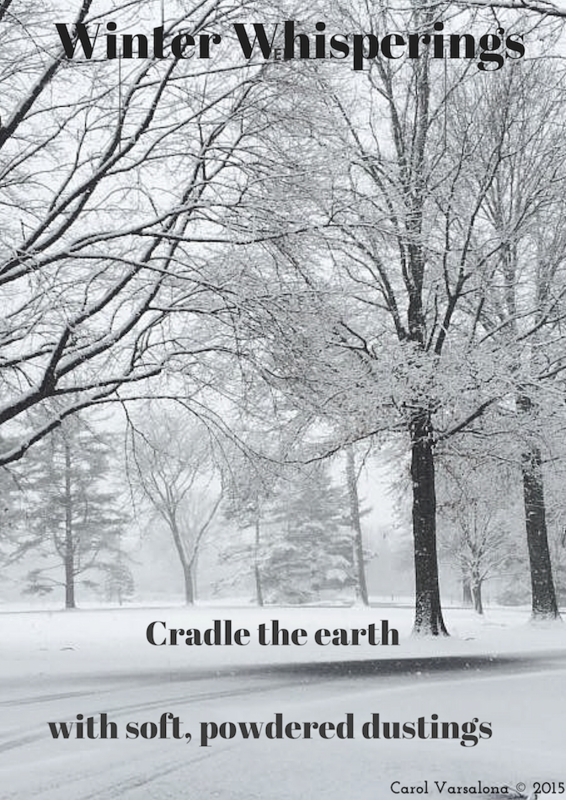 tempest storms to the gentle cascading of snowflakes. soon to be unveiled to all who recall your beauty. Please visit all three sites to capture the essence of each writing community.